Stéphanie Solinas uses her work to explore contemporary ideas about identity that are informed by practical applications within photography. The exhibition Dominique Lambert / Le Pourquoi Pas? presents two series by the French photographer Stéphanie Solinas. In her work, Solinas attempts to materialise abstract concepts such as identity or the spiritual in a systematic and factual manner. She employs photography as a part of a diverse array of research methods – alongside language, video and installation. The research process is central to her practice; by collaborating with experts from various disciplines Solinas investigates the shared role of the artist, the scientist and the medium as moderators of reality. Her methodical approach stands in stark contrast to the more subjective character of her subject-matter: identity, memory and the invisible world of the mind. 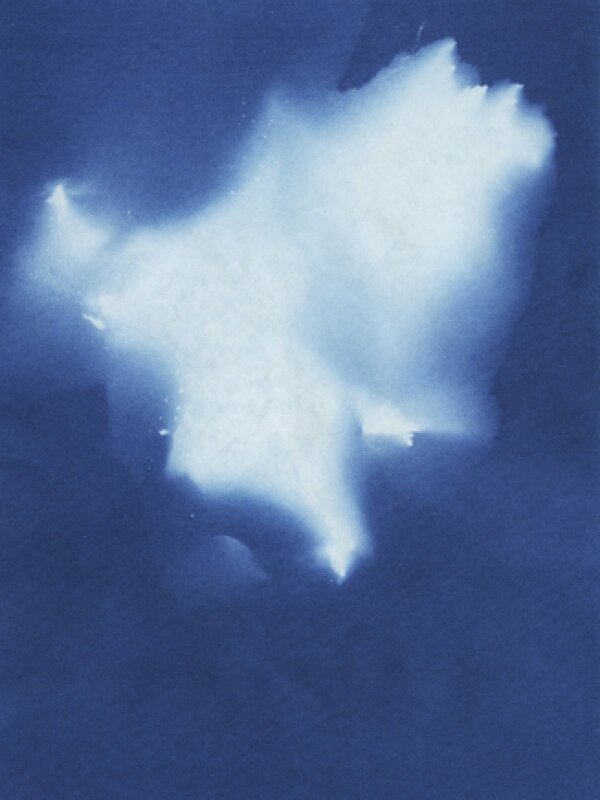 Foam showed Solinas’ work before, in 2012 her project Sans titre (M. Bertillon) was presented in Foam 3h. Stéphanie Solinas (France, 1978) graduated from the École nationale supérieure Louis-Lumière and obtained a PhD at Paris I Panthéon-Sorbonne University. Her work has been exhibited in La Maison Rouge (Paris), during Rencontres d’Arles (Arles) and in Carré d’Art (Nîmes) among others. Solinas’ work was included in numerous public collections such as those of the Bibliothèque Nationale de France and Musée d’Art Moderne Centre Georges Pompidou (Paris), Musée de l’Elysée (Lausanne) and in various private collections. She published various books such as Dominique Lambert (2010), Sans titre, M. Bertillon (2012), Déserteurs (2013) and Dominique Lambert (2016). Solinas lives in Paris and teaches at Sciences Po and the École Supérieure d’Art et Design Le Havre-Rouen (ESADHaR). The exhibition is made possible by the Gieskes-Strijbis Fund. Special thanks to l'Ambassade de France aux Pays-Bas. Le Pourquoi Pas? 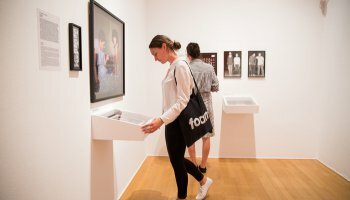 (2014 – 2016) is the most recent work of Solinas, which premiers at Foam. 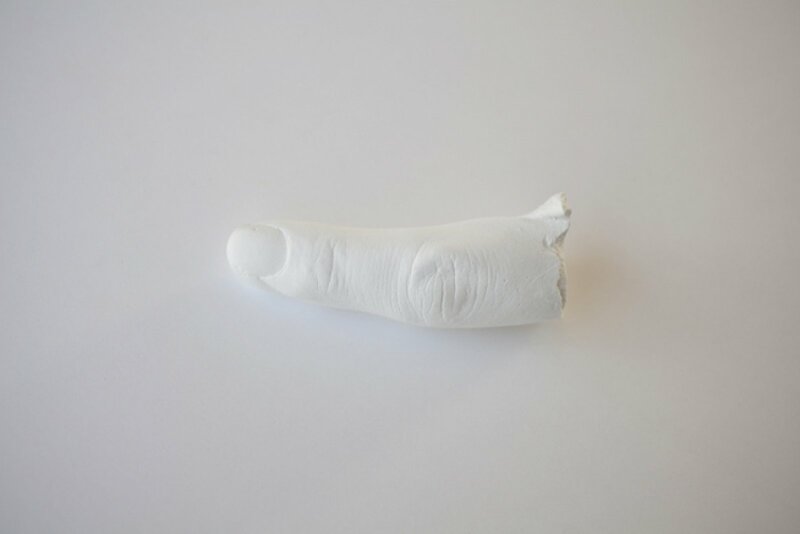 During a residency in Reykjavik, the artist consulted mediums, geneticists and other experts of the mind. Solinas let their observations and instructions guide her through the Icelandic landscape, that proved abundant with spirits, elves and other invisible presences. 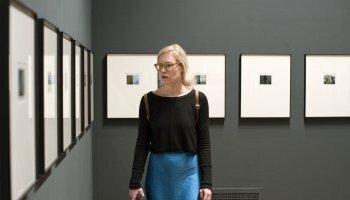 With her unusual cartography – consisting of photographs, video and strange objects – Solinas maps a cerebral reality, that in Iceland is considered equally real as the material world. In doing so, she does not attempt to prove or disprove the existence of the supernatural, but simply to record a possible parallel reality – the why not? For Dominique Lambert (2003-2009), Stéphanie Solinas spent seven years inventorying the identity of every listed Dominique Lambert in France. It is the most common gender-neutral first name, as well as the 27th most common name and surname. She approached 191 men and women who appeared under this name in the French white pages. Based on their answers to a questionnaire, she had descriptions made by a special committee consisting of a psychologist, a statistician, a police inspector and a legal expert. 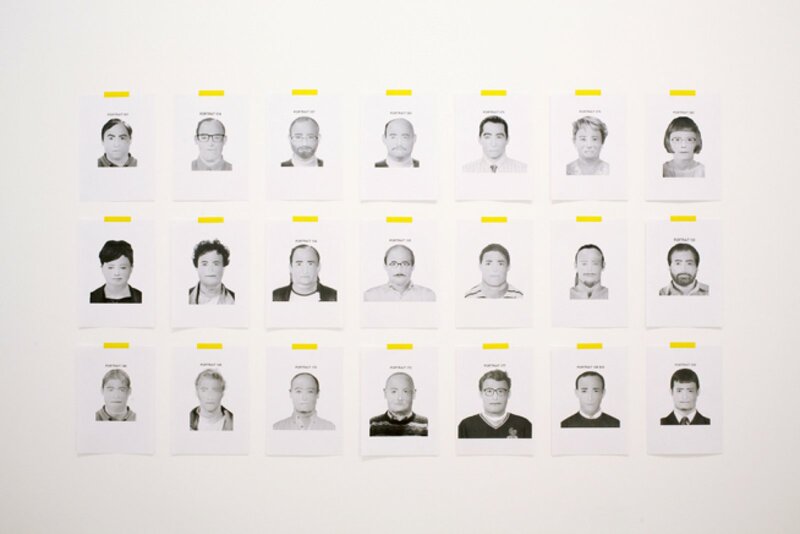 Their profiles formed the starting point for a series of drawings, that in turn was the basis for a series of computer-generated portraits by the police. Finally, Solinas photographed real individuals who resembled these animations. The true identity of the Dominique Lamberts remains ambivalent; the passport pictures they sent are shown upside-down. With her chain of translations Solinas questions the little-challenged status of photography – and other official methods of identification – as the ultimate representation of the individual.